Successful businesses and successful churches have some similarities. But they have far more differences. Much of today's ministry training takes its lead from businesses. Maybe businesses should be taking their lead from pastors. 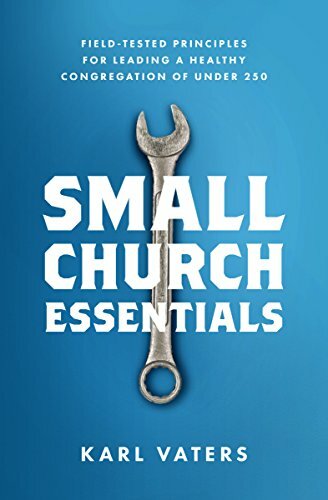 Many successful businesspeople have flamed out trying to plant or pastor a church. Some left a successful business for full-time ministry, only to burn out and go back to the business world. Some started in ministry, then quit to go into business, where they finally found success. It's much easier to start or run a successful business than to plant or pastor a successful church. And when I say ‘successful church’ I don’t mean a big, growing one. I mean a solid, healthy one – of any size. If you pastor a church and it's not collapsing in a heap beneath you, you're doing a better job at a harder task than most of the successful business owners and managers that people want us to emulate. There are many business principles involved in pastoring. And most pastors, including me, need to be better at them. But the overlap between church and business is much less than we think. Running a church like a business is similar to running a family like a business. You can't get there from here. That’s why the biblical requirements for pastors, bishops, overseers and other church leaders are drawn from family life, not business life. It’s hard to hire, train and manage employees. Now, imagine doing all of that without the incentive of a pay check. That’s what pastors have to do with volunteers. It’s also hard to find, serve and keep customers happy. Now, imagine doing that on a ‘pay me only if you feel like it’ basis. I know church members can’t be compared to employees. And even less to customers. But that’s my point. There’s no comparison. The primary agreement that keeps a company alive is the exchange of goods and services with money as the measure for fairness. But people can literally attend a church for decades, receive everything the church has to offer and never give anything back – either monetarily or in volunteerism. It’s inconceivable that any business could run that way. But that’s how churches do it. There are a lot of moving parts to a healthy business. There are infinitely more to a healthy church. Literally, infinitely.